Alexandria Bee Nest Removal, Bee Control, Stinging insect removal! Alexandria Bee Removal is a service that is often needed by homeowners that do not want to directly deal with the stinging insects or may be allergic to them. Bees are not a problem that can be ignored and it is important to do bee removal properly. If you do find a bee hive located around your home or suspect that there may be bees located on your property it is best to leave it undisturbed and call Alexandria Wildlife Pros to safely inspect the property and handle the removal and relocation of the bees. We can help you with all your hive identification and bee removal needs in Alexandria and surrounding areas. It is important to properly identify the particular bee species living near your home, as bees are often mistaken for wasps due to their similar physical characteristics. There are different elimination processes for wasps and bees, so effective treatment relies upon proper identification. 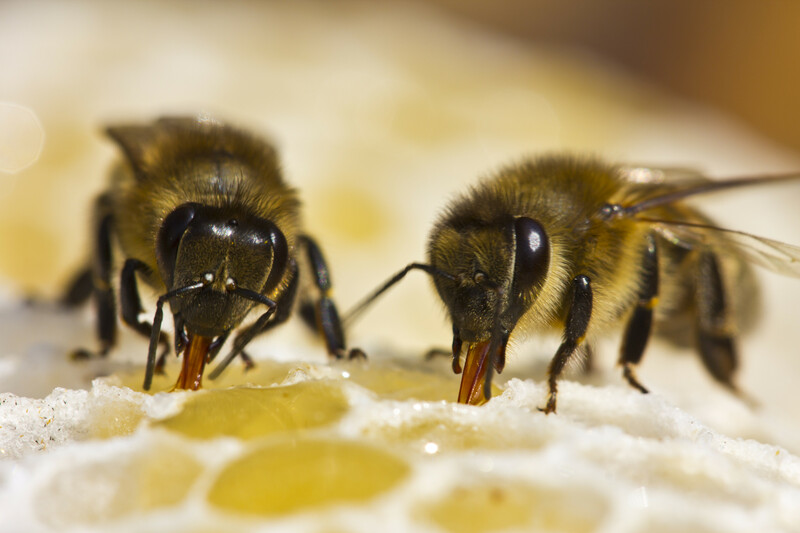 When using any method of bee control, it is also necessary to know effective application strategies, as well as the limitations and dangers associated with each method. Our highly trained Wildlife Technicians will locate the bees nest and remove it. Once it is removed, our professionals will clean and repair, and seal the affected area to prevent further infestation. The only way to rid your home of bees is to remove the hive entirely. This task requires the correct tools and strategy. If you are having trouble with any type of Stinging Insects including bees and wasps please give Animal Control Solutions a call today at 703-881-3170! We have a very proactive approach to taking care of these nuisance Stinging insects! Only female honey bees sting, the males do not.